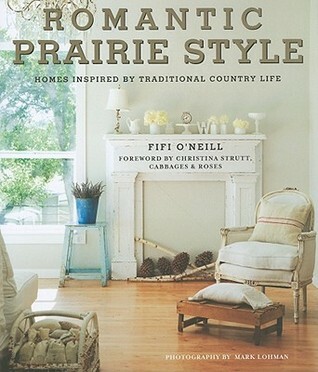 Partial Synopsis from Good Reads: Romantic Prairie Style embraces simple pleasures, comfort and the long-cherished ideals of natural beauty, simplicity and harmony with the earth. Hi Marci. I haven't visited your blog for a long time and I'm glad I found it again. I've been reading so many books from various book review programs. Currently I'm reading Blessing Your Grown Children by Debra Evans. After which I will read Through My Fathers Eyes by Franklin Graham. Have now ordered this one from the library. Thanks!